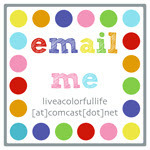 Live a Colorful Life: Vote! Today is a pivotal day for the U.S. 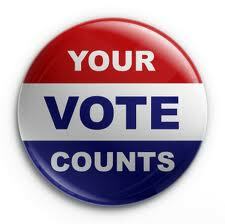 I hope everyone will take the time to exercise your right to be part of the decision-making process. Yesterday I was busy painting our bedroom. 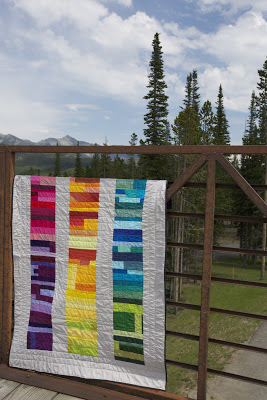 So it wasn't until last night when I finally sat down to check my email that I found out my quilt had been nominated in the Favorite Rainbow Quilt category! So your vote counts here as well. I would love if it you would head over and vote for One in Every (Kona) Color. 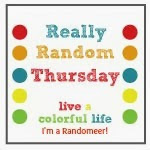 Lots of my best quilty/bloggy friends are also nominated in other categories. So cool to be included among all the wonderful and inspiring quilts that were in the festival this year. Oh, and the only tough thing about being nominated was that one of my best quilting friends, Rene', was also nominated in the same category. Yep, voted for you and all my blogging friends! Good luck! So glad we have early voting here in Florida which I took advantage of. My husband is helping with polls today and says it's crazy with over 2 hour lines. Congratulations on your Kona quilt making the finals!!! It got my nomination for favorite rainbow quilt. I was happy to see many of my favorites make it to the final five and sad to realize some did not. You are sweet to show my quilt. My quilt is rubbing elbows with some beauties ;-)!!!! Congratulations! I noticed your quilt right away. It's a bummer that you have a friend in the same category. I love that I can vote for so many of my friends. Good luck! Congrats on making it to the final five. You got my vote! I voted for you last night, I just love this quilt and appreciate all the hard work and dedication that went into it! I voted. . . for you and in the General Election (and tastefully held my nose while I voted yes for Prop 30). Hope it's successful. Yes, I'm home from Italy, but came home with a horrid cold, so have been in bed all day. I did go and teach yesterday, but with the help of Big Pharma. And now, I'm grading papers, drinking hot cocoa and sneezing my head off. (What a mess.) I haven't even unpacked my carryon bag yet; it's all in my sewing studio in a pile of trip stuff. The weekend's coming--will try to get to it then. Congrats on being nominated in this category!! Congrats to you and Rene'! It's so awesome you are both nominated! Lovely! Spied your divine quilt yesterday and 'course I voted! Good Luck. Yay! I was glad to see this nominated. Congrats, Cindy! I voted for you! I voted - the quilts in the comp are just beautiful!